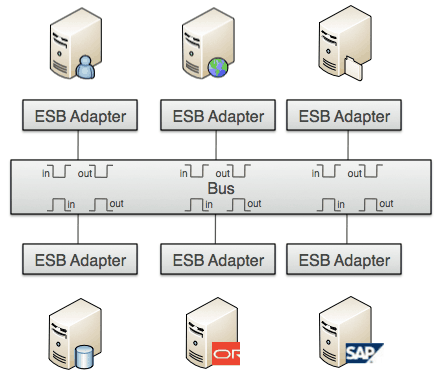 In my last post, ESB or not to ESB revisited – Part 1, I put some definition around what an ESB really is, today I’m going to describe two integration architectures, ESB and Hub and Spoke, providing the benefits and considerations for each. ESB or not to ESB revisited – Part 1. What is an ESB? Defining canonical message format. This is not an easy process since you need to define a message that suits the different needs of the applications you are integrating. Typically there is a common section for all applications and then additional payloads or attachments to allow for varied content. Defining adapter architecture. Given that you create an adapter for each application, you’ll want to make it as standard as possible so that it can be stamped out quickly for new applications. Typically the adapter takes care of data translation, validation, message routing, etc. An ESB architecture is best suited for integration projects that, i) include more than a few applications and, ii) plan to be extensible allowing for the addition of more applications in the future. An ESB architecture is typically selected for strategic projects where the upfront cost of developing the architecture is part of the planning. Rooted in the Enterprise Application Integration (EAI) days, the hub and spoke architecture integrates applications from a central location. Each call out to a system or application returns to a central hub for further processing. 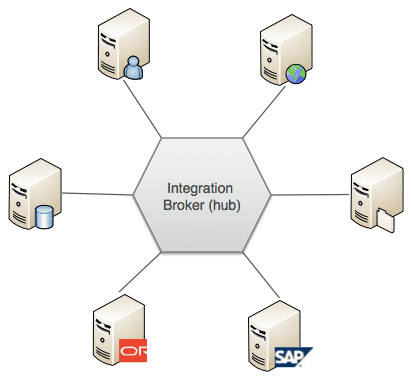 Hub and Spoke architecture is a great way to get started with integration, such as a proof of concepts. It is also suitable for small integration projects or to serve as an integration layer for an application. In my recent talk at PhillyJUG, I covered these two architectures plus two others that I will describe in my next post. There were a lot of questions at my JUG presentation, so please feel free to post questions here. Read on about the next part of this series ESB or not to ESB revisited – Part 3. Can you briefly explain what’s the relationship between Mule and Apache ActiveMQ? Are they competing technologies or they compliment each other? Mule is an ESB, ActiveMQ is a JMS provider what in the ESB architecture is called MOM (Message Oriented Middleware). In an ESB infrastructure a MOM can be one of the available transport. Except on the messaging bus itself, no?